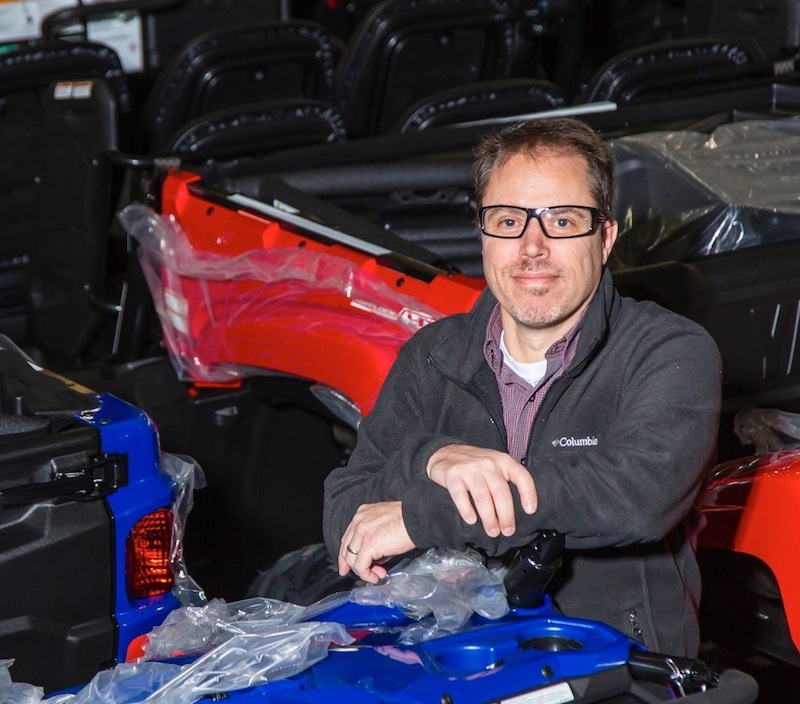 Destination Dealership: Cascade Moto Classics Inc.
Brendan Baker was named editor of Motorcycle & Powersports News in 2013. Prior to that he was senior editor of MPN since 2010 and also senior editor of sister publication Engine Builder for 12 years. Brendan has been riding motorcycles since he was 12 years old and currently races 125cc TAG karts when he has time. Jones never intended to get into vehicle sales. He was perfectly content with the parts and accessories side of the business, but then opportunity knocked… and kept knocking. Currently, Iron Pony encompasses more than 133,000 square feet of space, with half dedicated to their franchise brands including Indian, Yamaha, Kawasaki, Honda, Beta and 11 other OEMs. The P&A “superstore” occupies the rest of the building, a former Super Kmart. “I like having many different brands, even though it creates some headaches because every OEM has different end-of-month accounting needs and assessments they want. Each one wants to see things like door counts. Well, a door count on a store like ours is entirely different than a typical dealer. If you look at our door count of 2,000-3,000 swings a day, OEMs look at it and say, ‘you should’ve sold 175 motorcycles that day.’ Well, no,’” Jones says with a wry smile. And Jones notes that not everyone passes the course. Before anyone passes the Iron Pony Academy, they have to know the basics and be able to ride… Iron Pony wants repeat business, not some statistics. Another part of their vision for the future stared them in the face every day for years. After Iron Pony moved out of its original location, which was less than 10,000 sq./ft., they found a mid-sized building down the street with 24,000 sq./ft. Upon the move, Chris says that they didn’t even need to purchase more inventory. “We just spread it out a little bit,” he jokes. From 2000 to 2004 Iron Pony operated from a building less than a mile from the current location. Speaking of change, many manufacturers have rolled out MAP policies since Iron Pony entered the e-commerce world. It may sound crazy coming from someone with a large e-commerce division, but Jones is all for MAP. “I love MAP policy because that holds more for everybody. If you’re going to make a product that should be $70, it’s $70. “I still have to argue with a few mid-sized distributors and manufacturers who do these ‘MAP holidays’ around Christmas time, Black Friday, Valentine’s Day and so on… I always ask, how does it help me? It doesn’t help me, it helps them! It moves more product through the pipeline, but at a lower margin for me.” Jones says a MAP holiday or exception should mean a smaller margin for the distributor or manufacturer, not the retailer. While negotiating the cyber highway, Iron Pony happened to become a destination dealership in the real world when they moved from 20,000 sq./ft. to the Super K’s 100,000 plus sq./ft. as CFO Cory Atwood and VP Tammy Jones was establishing the mail order/e-commerce side of the business. 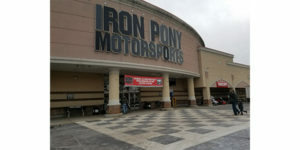 The Iron Pony Powersports dealership and Iron Pony Motorsports superstore have gained a nationwide presence, and people come from all over the country to visit and buy products, bikes or service. Jones says that most people who come in for the first time are blown away. “They will spend a couple of hours wandering the store. And service customers often shop in the Superstore while the work is being done.” A far cry from the corner of a local auto parts store, this multi-channel retailer sounds like our kind of shopping mall!